We are almost coming to the end of our celebration of Canada's 150th birthday but it's not over yet! Canada with all it's beauty and kindness can also have a little mystery. Let's start with Drumheller and the Hoodoos! Perhaps the most mysterious natural phenomena in all of Canada lies in Alberta, our second most western province. Drumheller, part of the Badlands, is a small community and home to our famous Dinosaur Museum, the Royal Tyrrell Museum. Situated about two hours northwest of Dinosaur National Park, the Badlands hold secrets to the prehistoric world. With the Earth having fallen away during earthquakes and other natural occurrences, layers upon layers of geological history are now exposed. Much to the delight of palaeontologists, these layers provide an indisputable timeline of prehistoric fossils: The dinosaurs are found only below the black layer of rock. The rock formations, the Hoodoos, range in height from roughly one to three meters. Another mystery that's well not totally a mystery but looks quite mysterious, are the northern lights! Scientifically known as the Aurora Borealis, a natural light display, northern Canada is one of the best places to see nature's show! Reds, greens, purples, pinks and yellow streak the sky caused by charged particles from the sun interacting with the molecules and atoms in Earth's atmosphere during our winter months. It's beautiful and worth seeing! All this talk of mystery, it seems only fitting to end this post with a mystery box giveaway! As with all our giveaways today, leave a comment below by July 7th and we will randomly select one lucky winner this hour to win! After leaving your comment here we hope you'll take a moment to visit us on Facebook and Instagram (@sctmagazine) and leave a comment there as well for THREE chances to win! We'll be compiling all the comments each hour. Next is our BIG finale! Fun Fact: People in Churchill, Manitoba leave their car doors unlocked in case their neighbours need to make a quick escape from polar bears. Surprise Canada, it’s your birthday!!!!! Drumheller is such a fun place to visit! Definitely get there if you can. Thanks so much for featuring something from the west 🙂 The Northern lights are so stunning … absolutely lovely. Thank you so much for the chance to win the mystery prize! Drumheller is on my bucket list! ooooh…a mystery prize! Thanks for all the fun facts and a chance to win! Thanks SCT for such a fun day. Happy Birthday Canada! The Northern Lights must truly be amazing to see in real. I love how you have featured such important and significant things about Canada today. I’ve lived here all my life, but still I learned a few things today that I didn’t know. Thank you for taking the time to do this for all your readers! I’m loving learning all this information about Canada. What an exciting day for all Canadians!!! I love that residents in Churchill leave their cars unlocked in case of polar bears. I am proud to be a Canadian and am so thankful for the privilege of living in this awesome country. The northern lights are marvelous! So happy I have been able to observe them. Love a mystery box! I’d love to see the prehistoric rock formations! Thank you Scrapbook and Cards Today. This has been such a fun way to spend Canada Day while I am trapped inside with this insufferable headache. I would have loved to go to Bath for the Parade, as shown in Amanda Farlinger’s layout but I wouldn’t have been able to tolerate the heat or the noise. Instead, I stayed near my computer and toured the country with you. It’s been great. Happy Birthday to us all. Rock formations and Northern lights must be added to my Canadian bucket list! So cool! I mentioned in my 4:00 comment that the Ammolites reminded me of the Northern Lights and here they are in all their glory! The dinosaur museum sounds like a place my two grandsons would love to visit! Truth be told, I would love to go too! The Hoodoos and Drumheller also sound like Great places to add to the itinerary! We are planning a family getaway for this summer and I am definitely suggesting that we add these to our list of places to choose from! Especially the Northern Lights! Thank you for opening my eyes ? to these cool facts about our Canadian neighbors! A great review of our beautiful country! Thanks for sharing with all your readers and for throwing in a few prizes along the way! Beautiful pictures! Thanks for sharing them! What a fun day of fun facts and giveaways!! Happy Canada Day! I would love to win this prize!! Northern lights are my favourite! Happy Birthday Canada. We sure are a beautiful country. So proud to be Canadian….today and every day??? Wow! These are beautiful!!! I would love to see the northern lights some day. Would love to see the northern lights!! The hoodoos are really cool. Love a mystery!! It’s been a great day SCT!! This has been fun! Happy birthday, Canada. Thank you for the chance to win! Thank you Catherine and team for putting together a wonderful tribute to Canada. You know how to party and celebrate. Thanks for the opportunity to play along and good luck to all – fabulous prizes! Happy birthday Canada. ? ?, you truly are a great county! I love the Northern Lights. The Hoodoos were interesting to explore. A surprise prize is intriguing! How beautiful!!! The Northern Lights are spectacular! I am looking forward to visiting and exploring Canada some day! Happy Birthday, Canada! Have been to Drumheller and would love to go back. Where I grew up as a child I remember seeing the Northern Lights and they always were such an amazing sight. Living in Alberta I am pretty familiar with the badlands and the Hoodoos which are amazing, but would you believe that in my 48 years living in Canada that I have never seen the Northern lights? I would love too someday and they are just gorgeous in the photos I have seen. Love the hoodoos and the northern lights. Unquestionably Canadian! Happy Canada Day! Thanks for the chance to win! Just recently saw the HooDoos in Drumheller…Happy Birthday Canada ???? Seeing the northern lights would be amazing! lol about the unlocked cars – you’ve shared some awesome fun facts today. Thanks for the chance to win to celebrate Canada Day! Thank you for all the posts today. I have never seen the Northern Lights but it seems only fitting that the are Canadian. Happy 150th Canada. Drumheller and seeing the northern lights are both on my bucket list! i have never seen the northern lights, wish to see them, but for now they are on my toonie! OOOOO I love mystery boxes, they were my favorite things to get at the dime store as a kid! My kids saw the Northern Lights when we lived in OH. I was in Hawaii at the time and missed it. Would love to see them someday. Great posts and fun facts about Canada. Love the Northern Lights. You’ve brought back a lot of memories from my Canadian childhood. I think I need to do more traveling to see lots more of our beautiful country. Thanks for sharing. I was fortunate enough to live close enough to the Hoodoos to be able to see them! And since I lived in Grande Prairie, Alberta for several years, I was also in awe of the beautiful aurora borealis! Thanks for sharing the lovely pix of Drumheller and the Northern lights! Thanks for the chance to win! I love the Royal Tyrell Museum!! And the Hoo Doos. The Badlands are beautiful. But those Northern Lights are really something else! 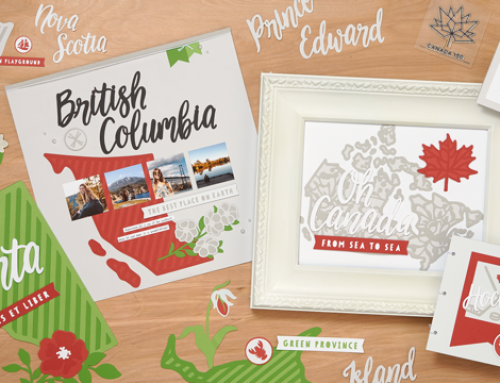 Can’t wait to finish my ‘bucket list’…so many items on it are Canadian! Great day, gals! I hope one day to be able to see the Northern lights. Happy Birthday Canada 150! Love reading all the great things about Canada. Thanks SCT for a super fun Canada Day filled with tons of cool facts, inspiration and giveaways!!! Had a great time and an awesome day!! Happy Canada Day!! Love the Northern Lights! So funny about the unlocked car doors. Would never guessed that it had something to do with polar bears! These are two things in my list to do! Who can resist the mesmerizing beauty of the northern lights! Another great post! Seeing the Northern Lights is on my bucket list. Mystery boxes ? are always fun. I haven’t seen much of Canada, so fun reading the posts today! Happy 150th to all my Canadian friends! Such gorgeous photos! I have not been blessed to see the Northern Lights in person and I hope to see this spectacular sight one day! You made Canada 150 so special and fun with your photos and fun facts! Thank you for helping me appreciate this wonderful country of ours even more than I already do! I wouldn’t want to live anywhere else! Beautiful natural wonders! And a mystery prize – what fun! I love Drumheller but I’ve never experienced Northern Lights like the picture you posted – it’s on my bucket list to get a little further north! I would love to see the Aureola Borealis one day with my own eyes. Canada has been blessed. Sometimes at the right time of the year we can see a little of the Northern Lights down here in Southern Manitoba…not quite as spectacular but still beautiful! Happy Canada Day from Saskatchewan ??! Gorgeous pictures. I saw a spectacular Northern Lights show when I was a kid, living in rural NB. Have never forgotten how glorious it was. Haven’t been to Drumheller but it’s on my list of places to visit. Thanks SCT for helping celebrate Canada’a 150th. Northern Lights are so beautiful – I remember seeing them here in NS one time and they were all shades of pinks and reds. I love surprises too! I’m certain that the northern lights would amaze me and is therefore on my bucket list. Happy Canada day. I’d love to visit Canada again. I’ve only visited Vancouver. I would love to see the northern lights in person someday! What a fun way to find out Canada facts!!! Happy Canada Day!!! We were just in Drumheller with our son earlier this month! I love the hoodoos! Someday I hope to see the northern lights! More of Canada’s natural beauty!! Happy Birthday Canada.. What’s in the mystery box? Happy 150th Canada. I’ve been fortunate enough to visit Drumheller a few times and also have seen the northern Ligths.. We live in an amazing country. Thank you for determining my next Canadian vacation. Badlands/hoodoos, here I come! Thanks for the opportunity to win. Thanks for the interesting facts and pictures. Oooh! A mystery box! And I loved reading about Drumheller and the Hoodoos, as I didn’t know much about either before now. Never seen the Northern Lights, but I’ve always wanted to. The Drumheller looks interesting too. Thanks for all the ideas. Beautiful! One day I hope to see them in person! Would love to see the northern lights! I was lucky to visit Canada last year. Loved it! The badlands are an amazing, eerie, crazy bit of the Alberta Landscape, you’re just driving across the prairie, and boom – they appear in the Red Deer River Valley. So cool that you shared that bit of my home with he world. Someday I hope to be able to see the Northern Lights. Happy Canada Day! Love all the fun facts!! I hope to see northern lights one day in person. Oh, and a mistery box! Golfing on Drumheller hoodoos is even more fun! Very cool golf course there! The blog was fun to read thanks for all the Canadian ❤️ and all the chances to win! Chuckled about the Churchill fact!! As an Alberta living a couple hrs from Drumheller, we visit often!! You guys are amazing digging for all these facts!! Love!! So many beautiful things in this amazing Country we call home! Hoping to visit Alberta one day soon! Thanks once again SCT!!! What beautiful natural wonders! Thanks for the chance to win! I have never been lucky enough yet to experience the Northern Lights. Being a Canadian I have explored a lot of Canada ( eh ) but this is still on my bucket list. Northern light have always been on my list of must see and do before I die! I would love to bring my grandson to see the dinosaurs~ He is a lover of all things dinos! Thanks so much for sharing Canada’s beauty with all your readers. To those not lucky enough to live in this great country, please come and visit! Happy 150th! Love the gorgeous Northern lights. I’ve been to the badlands, and they’re pretty awesome. The Royal Tyrrell Museum’s been on my bucket list for decades. I’d also dearly love to see the Northern lights. Canada’s so beautiful! Beautiful photos, interesting info and ending with a mystery gift perfect! Thanks SCT for sharing our beautiful Canada. Love the Canada highlights – I want to take my girls to Drumheller! I haven’t heard about the rocks, but I live in northern light area in the north of Sweden. I have never been out west and would love to visit Alberta amd British Columbia someday, But in the meantime I am so enjoying all of your pictures of the west coast. Canada certainly is remarkable from coast to coast!!! happy Birthday Canada! ! ❤️????? Fantastic sites and I love the fun fact!! I love surprises. I would also love to see the Northern lights some day. Lucky enough to have seen Drumheller, the badlands and the Northern lights! Truly amazing country we live in! ❤️?? Oooh, mystery gift! How fun. I love your photos. Photographing the northern lights is one of my bucket list items. I live in Alberta Canada and the northern lights are amazing. Unfortunately the world is changing and we don’t see them as often as we used to where I live. I’m luck enough to have seen both the hoodoos and northern lights! The hoodoos in Drumheller are spectacular and the northern lights stunning! I have been very fortunate to see both! 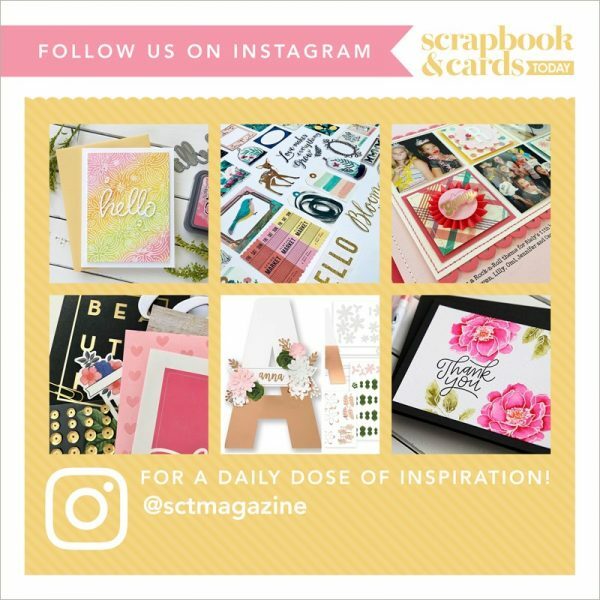 Thank you Scrapbook and Cards Today for the fun facts and opportunity for prize packs. Once again you have outdone yourselves, thank you! Love all the Canadian facts about our great country . Thanks SCT for all the great give aways. I would love to see the Northern Lights someday! Thanks for sharing all these fun Canadian facts with all of us Canadians, as well as with all the people from other countries who have joined in today! I would love to win a mystery box. One of these days I hope to see the northern lights. Thanks for the chance to win awesome blog candy! I’d love to be able to recreate the look and range of colors of the Aurora Borealis on a card. Their beauty is incomparable! I love the facts about the amazing sights Canada has! Oh my!!! I have always wanted to see Northern lights!!! It’s amazing!!! I love all the fun facts, a fun way to Celebrate Canada’s 150th Birthday! I’ll be sharing with my kids. I have them working on a Canada slide show. Maybe they can include some of the facts you’ve shared! Love mystery boxes full of crafting supplies. fabulous. thanks for having the hop. Loved visiting Drumheller and seeing the Badlands! An amazing place. Thanks SCT for all the fun facts today. The Northern Lights are so beautiful!! I love the fun fact about the polar bears in Churchill, Manitoba. The hoodoo’s in Drumheller are a special place to visit. And often overshadowed by the more famous Alberta attractions. We are talking about you- Rocky Mountains with Banff, Jasper and Lake Louise. One of the best camping memories ever, involved coming out of the tent at 3 am to answer the call of nature and seeing the most amazing light show ever. The Northern Lights were spectacular, and I woke up everyone else to come outside and share it with me. Can’t wait to see what mysteries you are hiding in your prize box. I love surprise packages – especially ones filled with crafting supplies. Drumheller is on my to-do sightings for this summer! Looking forward to seeing the badlands. That is so pretty. I had the opportunity to see it once when I was little and my parents let me sleep. Drumheller is a great destination. I spent a week digging out dinosaur bones. It was unforgettable. Thanks for the mystery prize opportunity. Love the Hoodoos and the beautiful Northern Lights. I live in alberta and love love love the northern lights!!!! Awesome photos of the Northern Lights! Beautiful and stunning nature rewards! I would love to visit Canada to experience these myself! So beautiful…..
We have lots of northern lights here in Northwestern Ontario Happy Canada Day ?? I have visited the Royal Tyrrell museum and it is a fascinating place to see. While I have been fortunate to enjoy the big skies of Alberta when visiting relatives, I have never seen the northern lights there. I have however seen them while at the cottage in Northern Ontario. They are truly amazing. I would LOVE to one day see the Northern Lights! Northern lights are so cool! Beautiful! A mystery prize! I love those! Thanks for the opportunity to win! Cool facts! Love learning about my country! I am going to Drumheller next week. Can’t wait. Congrats Canada! Visiting Alberta and observing dinosaur fossils would be incredible. Watching he Aurora Borealis would be another dream come true. Cheers! Beautiful photos and I love a mystery! So many wonderful and unusual places in Canada – thank you for featuring unique places and facts on your blog. I’m finally playing catchup with all the stories – did not want to comment without reading them all! ?????? Although I have never witnessed the northern lights, I have been admiring photos of them lately and have even been studying techniques to paint them. Would love to see the Northern Lights and spend a day of “total sun”… Too cool… That’s Canada! Thank you for sharing the greatness of Canada! Happy 150th Canada! Seeing the northern lights is on my bucket list! Alberta is on my must go to list!! Haven’t been there yet. Canadians are so extremely lucky to live in such a wonderful country!! managed to see both of these and yes Canada is an amazing country. Northern Lights are definitely on my bucket list!!! Seeing polar bears too!!! Glad to know that there is a quick escape!!! Thanks for a great celebration! Drumheller is on my summer to-do list this year. Can’t wait to see the Badlands and the artifacts/fossils there. We are camping around Alberta and hope to catch the northern lights or even the starry night sky. This has been such an exciting day and now there is a mystery box. It doesn’t get any better than this! Thank you Scrapbook and Cards Today. Did I miss it? Happy Canada Day! Beautiful pictures! Going up north to see the northern lights is on my bucket list! Thanks for the chance to win…Great fun facts.